Core Swing Golf reveals its royal trim white, red trim white and black Vegas gold to its current product color line. PRLog (Press Release) - Nov. 27, 2013 - STOCKTON, Calif. -- Core Swing Golf is proud to announce the worldwide launch of its 2014 new shirt color line. " With every new year our customers are always looking to start the year with a bang," said Core Swing Golf founder Rick Gonzales. " Our new colors are exactly what our players have been asking for." The Core Swing Golf patented design helps you to stay connected (hands, arms and upper torso moving as one) and golfers will be able to swing like the pros leading to a better round of golf. Staying connected is fundamental to a swinging motion according to all golf teachers and instructors. The key comment from many of our customers is that they did not have any swing thoughts while practicing with the Core Swing Golf shirt. You can just swing the club and let it happen! Founded in 2011, Core Swing Golf manufacturers, designs and sells the patented Core Swing Golf shirt. Golf Test USA, awarded the Core Swing Golf shirt its highest "5 STAR RANKING " and their "SEAL OF EXCELLENCE." Golf enthusiasts from all over the world including the United States, United Kingdom, Australia, New Zealand and Malaysia have purchased the Core Swing Golf shirt. Core Swing Golfs mission is to enrich the lives of golfers. 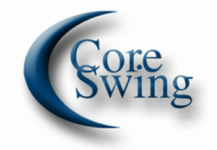 Core Swing Golf introduces golf's best practice aid with launch of their website and infomercial. hours of production including hiring a professional spokesperson, and a well respected Hollywood director and producer. “ We are extremely pleased with the infomercial and our spokesperson did an excellent job stating the benefits of our golf practice aid,” stated Jimmy Moreno, VP of Marketing. “The Core Swing Golf shirt is easy to use and our goal is to provide all golfers with immediate response. When company founder, Rick Gonzales, was working and testing the product with various designers his goal was to accomplish two things: be able to wear the shirt without being embarrassed and for the golfer to feel it working, just like the pros do,” stated Moreno. The patented shirt helps your arms to stay tucked in during the swing allowing your torso and arms to move as one and to allow you to make a perfect swing. swinging like the pros leading to a better round of golf. 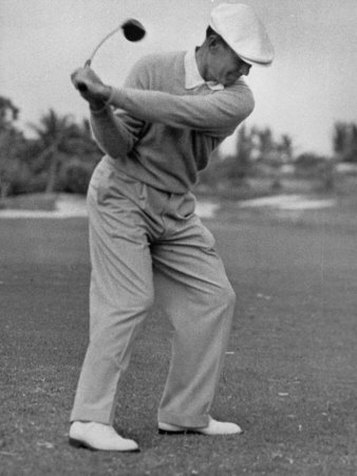 It is a common drill, one often used by Vijay Singh, who places the ends of a towel in his armpits to "stay connected," to help the arms and upper body work in concert. Rick Gonzales, a mortgage broker in Stockton, Calif., saw an amateur golfer using the drill on the range one day. "That's what spurred the idea," Gonzales said. The idea became the Core Swing, a polo shirt designed to do what the towel does. It features elastic that tightens around the bicep of each arm, securing the arms in the proper position. "I'm just a 15-handicapper," Gonzales said. "I thought, 'there's got to be a better way.' My wife always teases me. I'm the guy who always buys the newest and best training aid, looking for a shortcup to a better golf game. I figured there's got to be a way to design a polo shirt that does what the towel does, but you won't be embarrassed [tucking a towel in the armpits] on the range. "The main purpose is keeping the core, your chest, and rotating that and letting the arms come along for the ride. It allows you to make the proper turn." The Core Swing is available in white or navy blue and sells for $89.99.